This year my journey of learning herbal wisdom, and my love of fiber crafts are set to collide! I've decided to really dig into the art of plant dying, hopefully getting some wonderful colors in the meantime. One of my inspirations was this layout of plant colors from Ireland, bought on my trip last fall. From left to right - Mature gorse, young gorse, heather, sorrel root, tormentil root. All with alum and soda. Of course I wanted to keep this gorgeous rainbow effect, so I created a chart of Scandinavian style diamonds that slowly shifts colors. 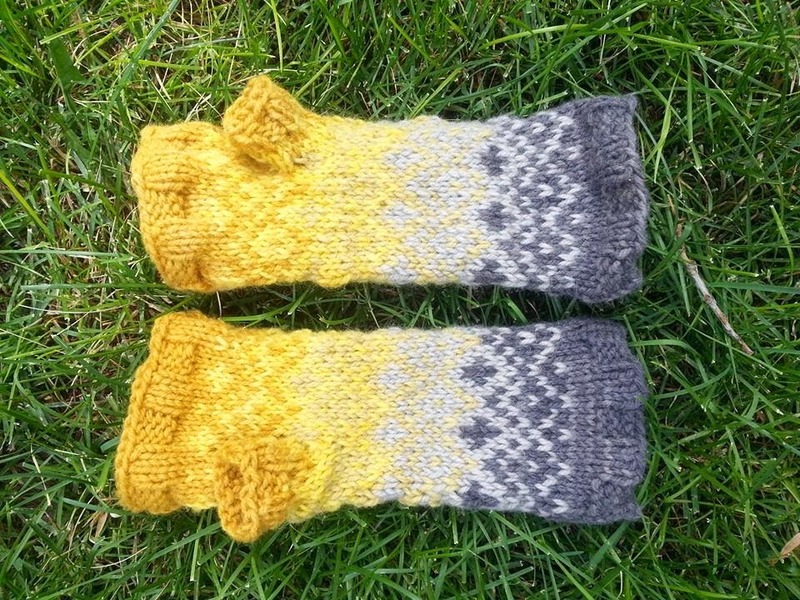 I must say, after working with sock and lace yarn for many months, worsted on size 8s knits up SO FAST! So here we have, a gentle range of yellows and greys, just like the solstice sun poking out of clouds. It was fast, simple, and just interesting enough to keep you going. 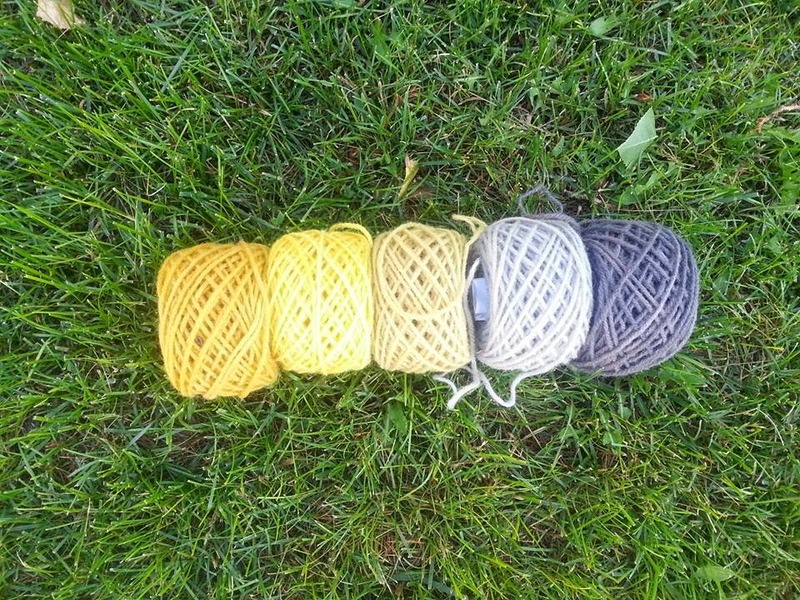 I'll be making a matching hat with the rest of the yarn, tho maybe not for much summer use. And if you think I won't use these in the summer, you've obviously never been to Colorado! Here's the pattern I created, it could have extra rows of single color inserted to stretch it out a bit. 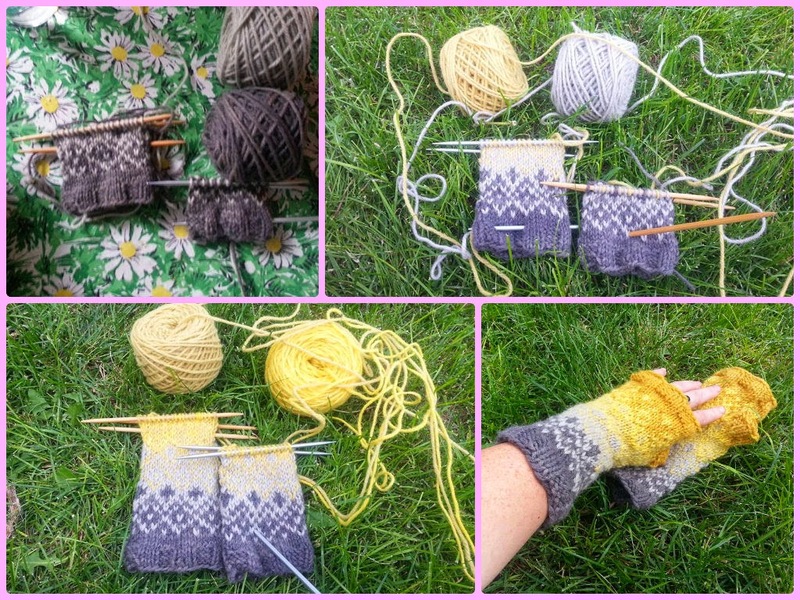 What are you knitting for the summer? Blessed Solstice everyone!